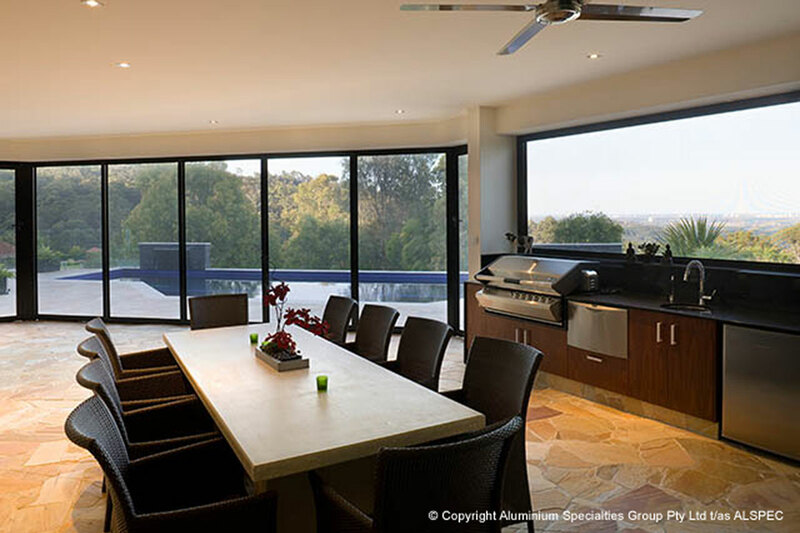 Aztec Screens manufactures highest quality aluminium patio enclosures, which may include hinged, sliding, stacking doors and bi-fold doors, window grilles and emergency fire escape systems. 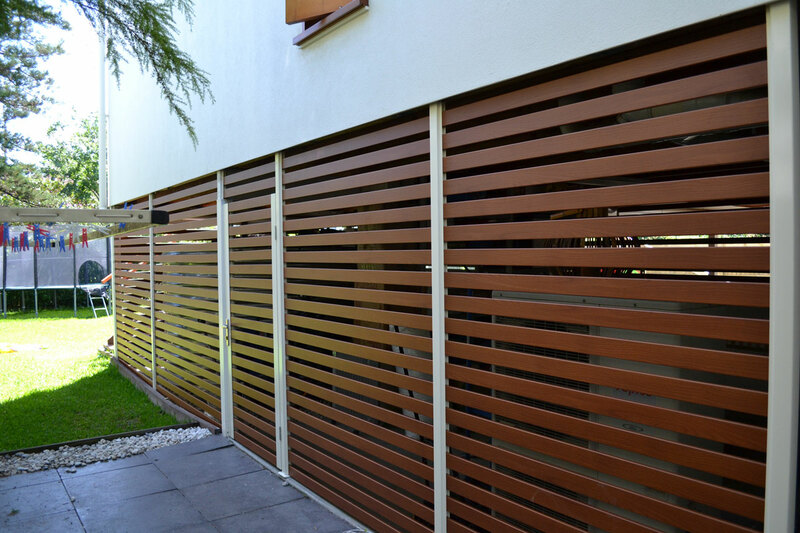 All Aztec Screens products are custom manufactured, made to measure to suit your exact requirements. 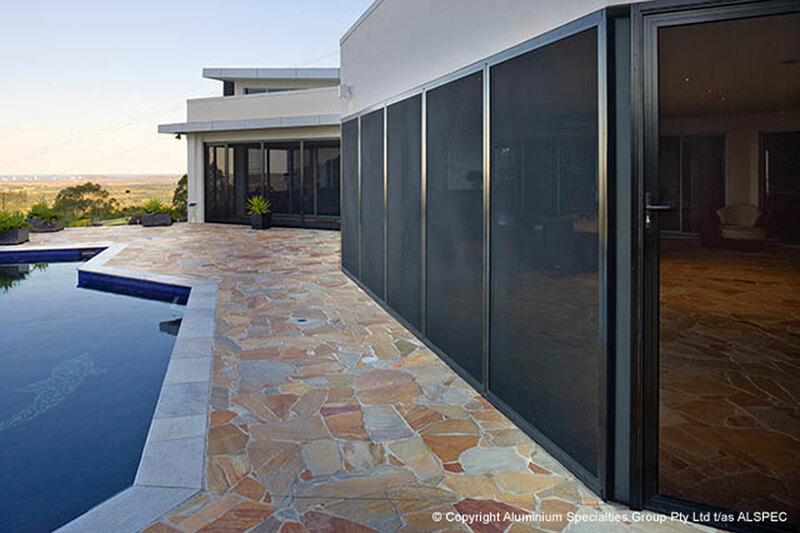 By being built on site, Aztec Screens offers the full range of Patio Enclosure products, manufactured and installed by our experienced staff. 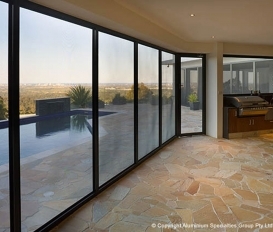 Our patio enclosure screens are available using 7mm Diamond Grille, ALU-GARD perforated panels or INVISI-GARD 316 stainless steel mesh - which offers superior strength and security. 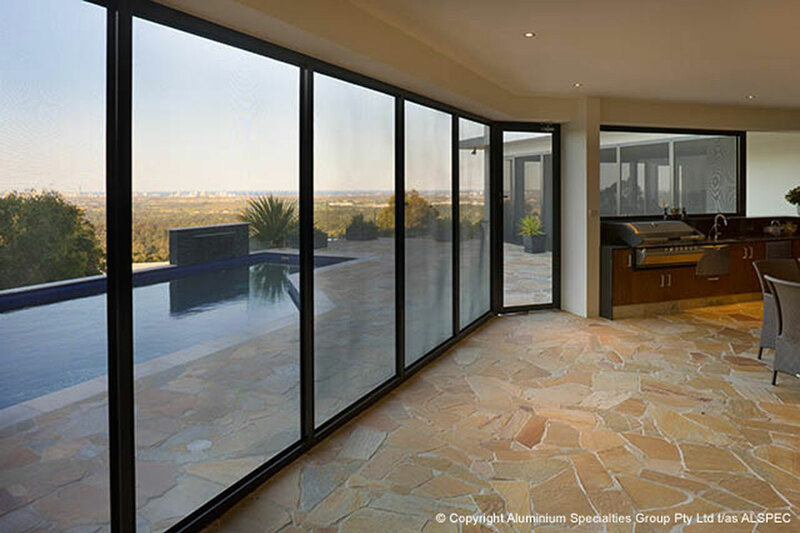 Whether it's for a security measure or simply just to keep the hot sun and pesky insects out, a patio enclosure is a comfortable way to bring the outside in! Why not contact the office and we can arrange for one of our staff to come and discuss your options. Depending on your choice of construction, the colour of your screen varies. INVISI-GARD stainless steel wire mesh is coloured matte black. 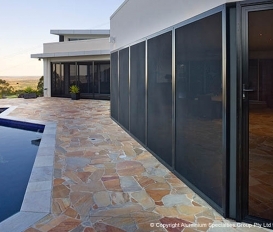 ALU-GARD aluminium screen is coloured matte black. 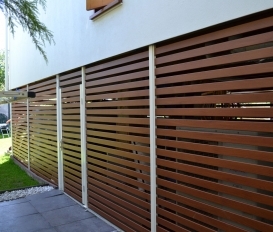 Diamond pattern security grilles can be powder coated to match the frame. The frame is available in the following popular powder coated colours, it can be powder coated to any colour in the Dulux and Interpon range, it also comes in standard anodized finishes. More colours are available upon request. 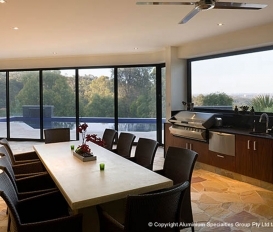 Patio enclosures may be designed using a number of products, with varying security standards.